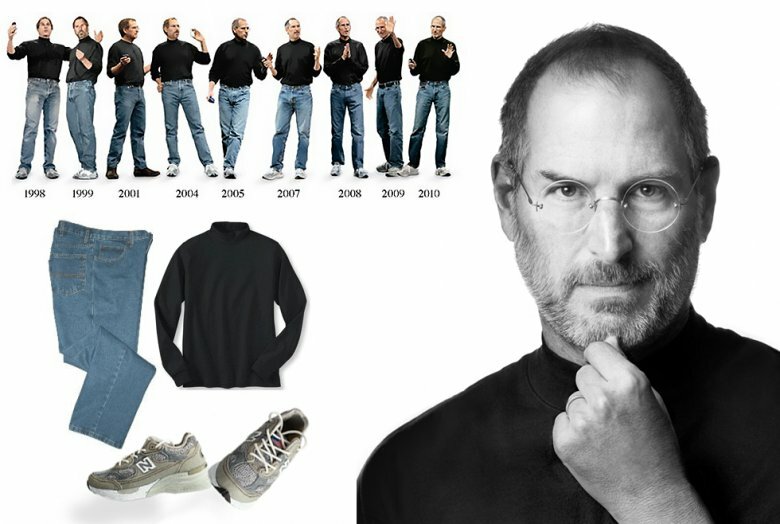 Jobs wore jeans and a black turtleneck seemingly every day after he came back to Apple in the nineties. I like the idea of getting up and not having to think about what I am going to wear. It certainly makes doing the laundry easier. Although, I doubt Jobs ever worried about doing his own laundry. I think he developed his “uniform” because it meant he had one less decision to distract him from the ceaseless task of creation. The time saved by not making clothing decisions was used to develop the iPhone…Hey, it’s my rant. I can speculate. I started to adopt the “one uniform” approach 15 years ago without even knowing it. I found a pair of black Cole Hahn Loafers with a soft sole that fit well and could get away with casual, everyday use. I have worn and ordered those shoes for the last 15 years to the disgust of my wife. It now takes me two minutes to order a new pair with Amazon Prime. Time saved going to Nordstrom’s and shopping: a lot. No fuss, no muss. I have extended the process to my pants and shirts. My goal is to have it down to one uniform by the end of this year. Unfortunately, I have to have one suit for weddings and funerals, or my closet would be a sea of uniformity. I know Goodwill will be happy, as they will be the primary beneficiary of my closet purge. The “one uniform” approach is especially great when you are on a business trip, hopping from city to city. Packing becomes a five-minute exercise, not the multiple day fiasco my wife can make it. Full disclosure…my wife is about a hundred times better looking than I am, so she has much better raw material to work with! There was one other guy I realized had the “one uniform” approach down pat…Milford Carroll, my father. He was a plumber. Every day he put his overalls on, got in his truck and went to work. He came home and took the coveralls off and hung them on a nail by the door in our garage. Next morning, same thing. I’m pretty sure Steve Jobs never installed a 150-gallon water heater, or cleaned out a sewer line, but both my Dad and Steve Jobs stripped away any distractions from their daily missions and did their jobs. Based on what I have read about Jobs as a person, I am happy that I spent hours cleaning out sewer lines with my Dad, rather than spending 10 minutes with Jobs. My Dad never had any money, but he was a hell of a human being. If I’m lucky, I will have a little success mixed in with humanity my Dad demonstrated every day. I’ll never be as rich as Steve Jobs or as good of a person as my Dad, but I am embracing to the “one uniform” dress code as soon as possible.